Recently I was enthralled with yet another Rite (Esa-Pekka Salonen: Los Angeles Philharmonic Orchestra). Fine as that is, Andrew Litton’s new one with Bergen Orchestra is unmistakeably better. 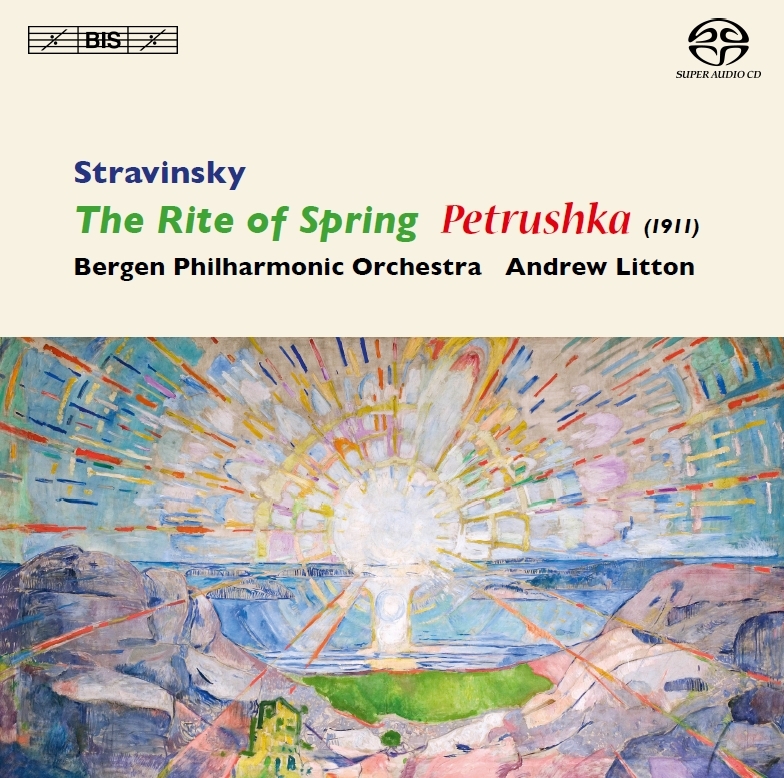 For one thing, it is coupled with Petrushka, one of the other GREAT Stravinsky works and Litton paces each of the tableaus with a much surer sense of the drama and poetry within. It’s not simply that he takes faster tempos in Tableau One (for example), it’s that he uses them to jam together the disparate materials in it, approximating the cinematic quick-cuts and grotesque contrasts that Stravinsky surely intended. The result is so dynamic (literally and figuratively) that you can virtually see the ballet unfold before your mind’s eye. Special mention must be made of the sensitive wind playing throughout. The solo flute is especially effective, but everyone plays with great feeling for the “characters” they portray, and for the dramatic moment they inhabit. This is just a compelling performance; the orchestra’s unity and commitment are palpable in every measure. I feel much the same about their work on The Rite, but in some respects a great rendition of Petrushka is harder to pull off. The recording is also superb. The engineers have combined a true “hall perspective” with the need to hear detail within the ensemble and to pick out the crucial solo contributions. This is not one of those recordings that place you on top of certain players (or vice versa), but you will not feel cheated of intimacy as at every turn BIS have captured a more natural balance and perspective, and yet also more detail, timbre, texture. And the bass drum thwacks are killer! If you are a sound nut, you will be happy well before you even get to the barbaric yawps and plops, banging and twanging, in The Rite. If you have a multichannel SACD setup, you will be very glad of it. In short, a record you will treasure for years to come. Truly exceptional.